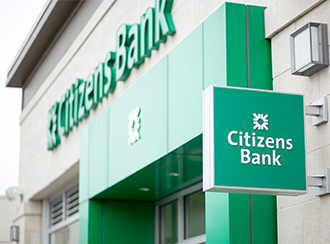 At Citizens Bank, you will find a workforce that models the diverse communities and customers we serve. 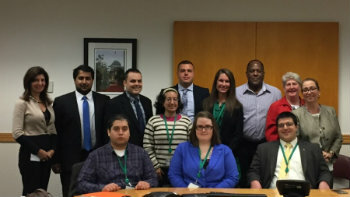 In celebration of the 25th anniversary of the Americans with Disabilities Act (ADA), Citizens Bank and its Diversity Recruiting Council hosted its first mentoring day focused on individuals with disabilities on October 21, 2015. Citizens partnered with several organizations in the local Rhode Island community, including Rhode Island Business Leadership Network (RIBLN), Bryant University, University of Rhode Island (URI) and Rhode Island College (RIC) to attract college students and new graduates for the day’s event. 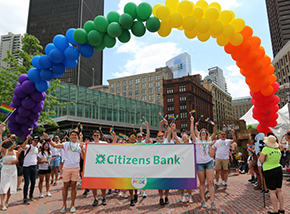 A total of 10 students with disabilities were paired with Citizens Bank mentors representing various functions of the bank, such as Finance, Contact Center and Business Services. Pairings were based on a mentee’s areas of interest as well as a mentor’s areas of expertise. 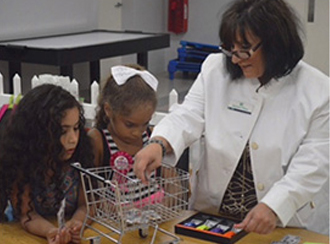 Jen Rivers, senior recruiter at Citizens coordinated the Mentoring Day noting, “The goal was to show that a career at financial institutions like Citizens Bank can be so much more than the roles typically thought of at the retail branches”. A welcome breakfast allowed mentees to connect with their mentors. Guest speaker Steve Bradley, vice president, Talent Acquisition Services kicked off the event, commenting, “A big part of our culture at Citizens is giving back to the communities of which we are a part of. We realize that a diverse organization translates into one that better serves its customers, has a more engaged workforce and ultimately out performs its competitors”. Throughout the day, mentees and mentors experienced a behind the scenes look at various roles, toured corporate departments and discussed ways to develop a rewarding career. However, the biggest take-away for the participants was dispelling the myth that a disability can get in the way of developing a long and rewarding career. Interested in learning more about our diverse workforce? Become a great Citizen and join our team.